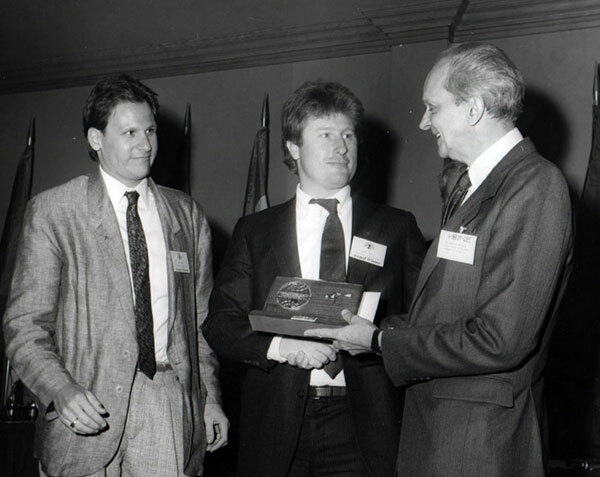 Randal Patrick and John Putch in Washington D.C. accepting the Kanga award from the ambassador of Australia for best live short film. Randy and John wrote and produced the film with John directing. You may remember John from his many TV appearances including as a regular on “One Day At A Time with Valerie Bertinelli. John has gone on to a successful producing and directing career.